As before Cydia tweaks like ClassicSwitcher and ControlTask permit the users to return back the old app switcher to iOS 7, the latest edition has so soon collected a lot of great deal of fan-base. The cards that are provided in the new app switcher seem to be even more gracious, and naturally, offer the previews of all unfolded apps. FullscreenPreviews is a fresh tweak that fleshes out on this thought, and extends the app switcher cards to occupy the entire display of the device. This might not seem logical to you at the starting only, but you just have to use the tweak at least once to get the idea that went into its construction. FullscreenPreviews is the sort of tweak that takes some time for getting adjusted to, because it renovates the whole app switcher. 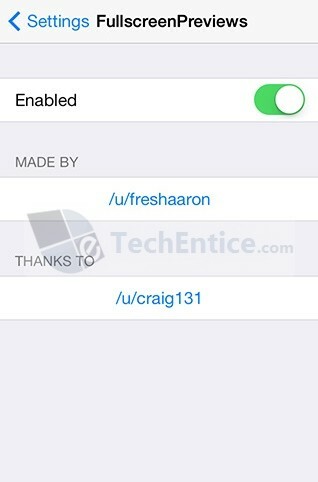 You can switch the tweak through the menu it includes to the Settings app post installation. It is turned on by default just after after you install it, so merely that is left out for you is to do is double-tapping the home button to get into the app switcher. At the starting, fresh users may feel a bit bewildered since the cards don’t look any dissimilar from the app they are making up, that is, there is not anything to show up whether you are currently inside the app switcher or utilising a specific app. The process persists to be the same: you swipe left and right across the screen to toggle among app modes, tap a preview once to turn into to the app or slide it in the upward direction to close it. Nevertheless, the skill to shutdown numerous apps all at the same time is not here this time. You may often encounter a sudden gap when going to an app, particularly if the app marked as question mark has been static for quite some time. The developer proposes that tapping the preview two times, probably to increase the speed of processing in such instances. The rest part of the tweak runs without any issues; toggling between and shutting down previews is as fluid as it is in the default app switcher. 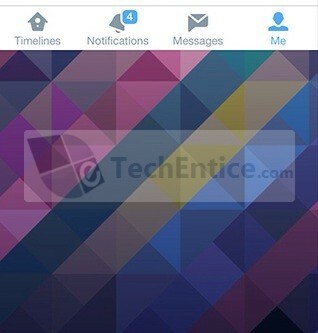 You might have to respring your device after switching on/off the tweak. FullscreenPreviews is a pretty good tweak. It is to a great extent a makeover tweak rather than that of the one which increase convenience. It may turnout to be more practical if some kind of alert option is included in it or around the app views.